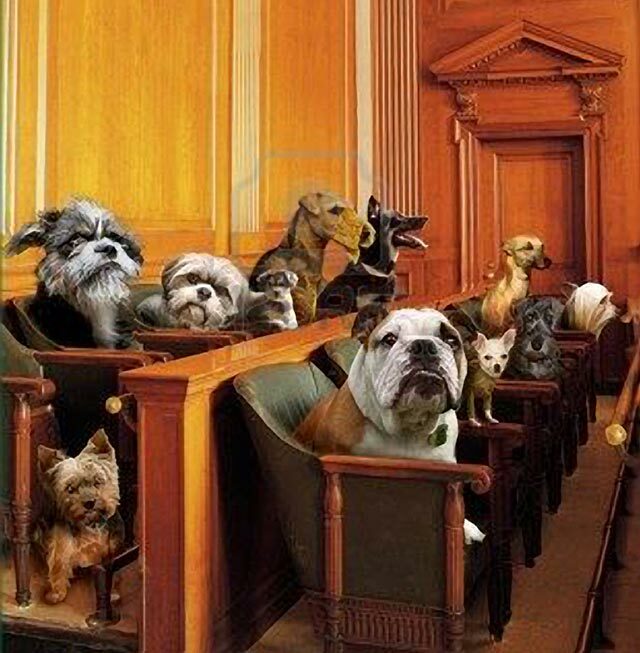 Toronto Dogs Directory: Let's Adopt Global Launches Lawsuit - The Toronto Pet Daily's MOST IMPORTANT TIMELINE Since The Salem Witch Trials - SHARE! SHARE! SHARE! Let's Adopt Global Launches Lawsuit - The Toronto Pet Daily's MOST IMPORTANT TIMELINE Since The Salem Witch Trials - SHARE! SHARE! SHARE! - A Let's Adopt Bulgaria Facebook page is published. Donations are solicited yet no documents are found with regard to legal registration. - The organization publicly states on Facebook, "Let's Adopt has applied for full fledged UK charity status." To this day, no record of any such application has been found. - Rescues are increased, while an internal email is written by the founder. Within the email he details the need to be "machiavelic". With regard to one dog, he states that he will, "take tons of pictures in different positions, with the dog wearing different scarves and leashes. It will look like they are taken in different times." The founder continues, "We'll be sending those pictures over a space of weeks. If they want to go visit you you won't be available because you are very busy. In a month time we'll send them an email saying the dog died overnight in her sleep. End of story." At least one organization board member and supporters say the message has been taken out of context. - The Let's Adopt Canada Facebook page is created categorized as a non-profit organization. To this date there is no legally registered non-profit Let's Adopt Canada. - Individuals begin questioning the validity of the organization. They question whether the group is registered, where donations are going, and if the organization is reporting its past three years of income anywhere. - On November 26 a Facebook page is created addressing concerns that Let's Adopt Global is lacking transparency as they are not registered or accountable for donations. Ten days later on December 6 the organization finally files incorporation documents in Massachusetts but does not publicize this fact. On these documents the founder lists an address in Spain as his residence, though later on his own blog publicly states he has not lived at that address for 20 years. - Rumours swirl that the founder of Let's Adopt Global is mired in legal controversy in Turkey. He relocates to Spain, later stating the move came not from legal issues, rather his desire to return to his home country. In a previously written email later uncovered, the founder informs the recipient he is moving out of Turkey, "where no one is taking me to court." - In July the organization publicly declares that, "Let's Adopt IS a registered charity. We are registered in Boston Massachusetts." No such records exist in Massachusetts with The Attorney General's Non-Profit Organizations/Public Charities Division at the time, as required by law. This date marks four years of the organization soliciting donations while not legally registered to do so as a charity, and seemingly not reporting income. - Let's Adopt launches a new website clearly soliciting donations within the USA. Again at this time, the organization is not legally registered to solicit charitable donations anywhere. Past donors launch complaints to the IRS and Commonwealth of Massachusetts. - In December, Let's Adopt Global raises over $44 000 for one case. Again at the time, the organization is not legally registered to solicit funds as a charity despite having publicly stated otherwise. After more people raise concerns, from this point on the organization stops publishing how much it collects for each case. - The organization again finds itself in hot water over a rescued dog in Spain. It states that this rescue will cost over $8 000, and begins soliciting donations. The veterinarian in charge of the dog's care however, publicly states he has no idea where the figure comes from, as it is highly inflated in comparison to his $3000 or so estimate. Let's Adopt Global claims it is taking the original rescuer of the dog to court. To date, no court documents have been released. For the plaintiff's account, see below. - People in Spain question why donations are being solicited while at the time the organization is not legally registered to do so in the country. Let's Adopt Global responds that it does not solicit donations in Spain. The Let's Adopt Spain Facebook page is removed and/or hidden. - More people begin contacting the IRS and the Commonwealth of Massachusetts with concerns that Let's Adopt Global is defrauding the public by soliciting funds as a charity while not legally registered to do so. - As of March 19, the Commonwealth of Massachusetts states that Let's Adopt Global is not registered with The Attorney General's Non-Profit Organizations/Public Charities Division and until recently had not submitted annual financial reports pursuant to Massachusetts charity law. - On April 5, Let's Adopt Global launches a defamation lawsuit against 38 defendants. To pay for this legal action the organization pleads with people to donate to their legal fund. In an email to supporters the founder states the organization is in debt over $20 000 to veterinarians, raising public concern that past funds have been mismanaged. - On June 5 the founder issues a press release condemning the defendants, and publishes the names and home addresses of the defendants online. Meanwhile in one of the most self important and comical statements I've ever read, the group's treasurer says, "Not since the Salem Witch Trials has mass hysteria and gossip been allowed to wreak such havoc and cause so much harm as it has on social media outlets." So THAT folks, is how we have ended up here. About the only thing I can agree on with Let's Adopt Global is that the organization certainly is, "A new kind of animal rescue." Now I'm off to go figuratively burn some witches. BTW if you'd like to read my past opinions on the questionable conduct of Let's Adopt Global and its officers, feel free to scroll up this page. While I'm on my witch hunt, feel free to read these two accounts from people who have had direct contact with Let's Adopt Global. The first is by Incilay Golden, a rescuer who used to foster/adopt for the organization, and was written before the founder relocated from Turkey to Spain. The second is a translated account by Cristina Irina Munoz Garcia, a well known animal rescuer in Spain and one party involved in the Spanish court case mentioned above. Cristina's statements are taken from an interview she gave to a Spanish newspaper. First contact with Let's Adopt! What was your impression? Horrible. Ivan came and the only thing he did was telling his “war stories”, scorning the people who donated little money, I did not like when I spoke with him two minutes. When he saw Bianka, he didn’t even caress her at any time, nor came close to her. His obsession was to take pictures and more pictures, videos in two languages and little else. I did not see him affected at any time by her state, he was cold, and of course, I did not like it. The first impression was horrible, to tell you the truth. Bianka enters the clinic and begins her treatment supervised by Let's Adopt!, What made you finally reject his support? First his reaction with Bianka, the fact that he didn’t even look at her, but then, the day they operated Bianka and I called to see how things were going they said they would not give me information. I called this Mr. Ivan Jimenez and he started telling me that under no circumstances should I say the date of Bianka’s operation, because then they would lose Bianka’s donations, which were only 200 euros so far. And of course the photos would be published only if he thought it opportune. He also told me that he would not publish the bills, because nobody needs to see them, and Greenpeace doesn’t show bills or give explanations, so he doesn’t need to either. He said Bianka’s operation would be 8,000 euros and when I asked the orthopaedist, he told me that not even in dreams it would cost that much. He didn’t know from where this man had gotten that amount. All I saw was that he wanted me to lie in everything and he thought that he could use me as his puppet, and he was completely mistaken.